Bats play an essential role in controlling insect pest populations which damage crops and irritate people. 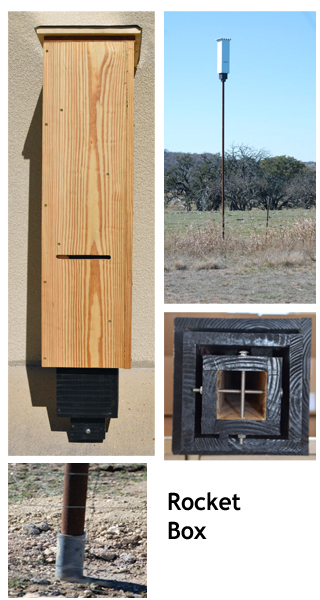 Consider making bats a part of your integrated pest management program! We provide quality houses at a very competitive price. House plans can be customized to meet your particular needs. Colors shown are representative of choices used in the central Texas area. Unpainted houses also available, which can be painted to match your individual color choice. Ask about placement on your property for optimal attraction of bats. 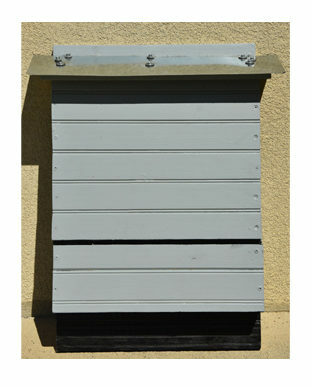 Bat and Bird Boxes offers 4 distinct boxes in styles and sizes to meet your needs … From large agricultural producers to smaller urban environments … Priced to fit into most budgets. Photos show boxes in a variety of surfaces and color. Your choice of woods are: yellow pine, white pine, or western red cedar. You may select painted pine or unpainted pine in a color suitable to your environment. We offer custom colors too. Cedar boxes are unpainted. Prices vary by size and capacity. Prices are shown here. Contact us by email barnunranch@gmail.com, or by phone (254) 386-1296. 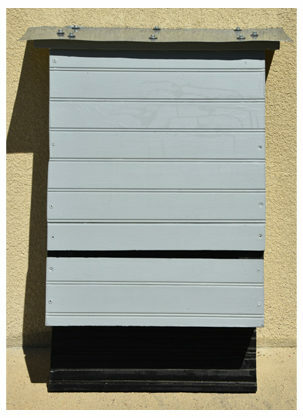 The Rocket Box is our top of the line production bat box. Can contain bat colonies of 250 bats or more. Mounts on a 2” galvanized pipe (not provided). It weighs between 48 to 57 pounds, depending on materials selected. 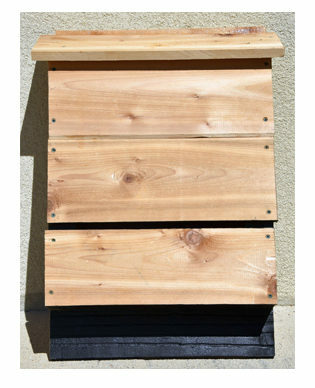 This Large Nursery Box has 4 chambers and can house 175+ bats. This model is shown in painted pine, one of our construction options. It weighs about 30 pounds, depending on materials.